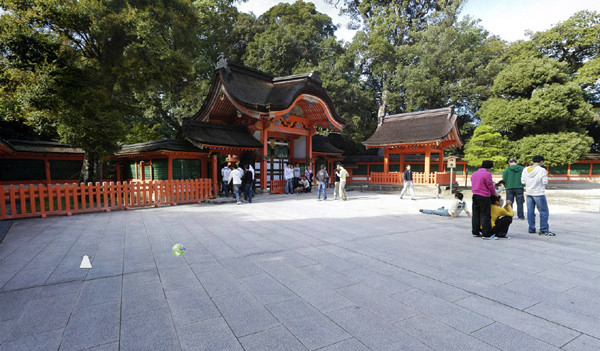 360cities has literally hundreds of panoramas of sights to see in Japan, but the closest the website gets to our teas' homeland of Kumamoto is Usa Jingu, a sprawling, beautiful shrine located one prefecture over in out-of-the-way Usa. This is only one small area of the entrancingly large shrine complex. If you are ever in Oita or Beppu, I highly recommended making the drive — or train ride — to Usa.